John Bankhead Magruder: A Military Reappraisal by Thomas Settles (LSU, June 2009). As a subject of a book length study, this one is somewhat surprising. I'll be keeping my eye on it, and I hope it takes a broader view of his Civil War service than simply his time on the Peninsula. I am far more interested in Prince John's Trans-Mississippi career. A Wisconsin Yankee in the Confederate Bayou: The Civil War Reminiscences of a Union General by Halbert Eleazer Paine, Samuel C. Hyde, Jr. (ed.) (LSU, May 2009). Flames Beyond Gettysburg: The Gordon Expedition, June 1863 by Scott Mingus (Ironclad Publishing, Q1-Q2 2009). -- according to the author, it's scheduled for limited publication around the end of the year, with a late winter or early spring general release. Nice cover art, too. I've read two of the four volumes from Ironclad's Discovering Civil War America series and found them thoroughly satisfying. Both "No Such Army Since the Days of Julius Caesar" and A Little Short of Boats: The Fights at Ball's Bluff and Edward's Ferry, October 21-22, 1861 are fascinating and truly original military studies. From the same publisher, while not part of the series noted above, John C. Pemberton's manuscript Compelled to Appear in Print (ably edited by David M. Smith) is an essential part of understanding the Vicksburg Campaign. Isn't this how it often happens...the Civil War community long laments the lack of a modern biography of a major Civil War figure, then suddenly three appear at roughly the same moment [well, in the publishing world's timetable, I consider within 18 months the 'same time'!]. Christopher J. Einolf had the good fortune to make it out of the gate first, with his well reviewed (but unfortunately still unread by me) Univ. of Oklahoma Press book George Thomas: Virginian for the Union (Nov. 2007). General George H. Thomas: A Biography of the Union’s “Rock of Chickamauga” by Robert P. Broadwater (McFarland, Spring/Summer 09). Taking reviews of prior work into consideration, I don't hold out a great deal of hope for the last. I've never heard of Mr. Bobrick before, but a quick Amazon search comes up with quite a range of subjects (many well-received) from this very prolific author. 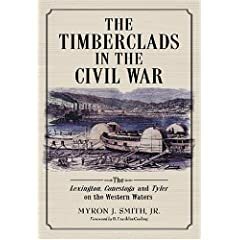 Smith: "The Timberclads in the Civil War: The Lexington, Conestoga, and Tyler on the Western Waters"
Until the first major employment of ironclad gunboats in February 1862, the timberclads [U.S.S. Lexington, Tyler, and Conestoga] comprised the front line naval power of the U.S. Navy along the inland waterways of the western theater. Myron J. Smith, author of Le Roy Fitch: The Civil War Career of a Union River Gunboat Commander, continues his extraordinary chronicling of gunboat operations with his new book The Timberclads in the Civil War. Smith devotes the first half of his study to a narrative history of timberclad organization, construction, and naval operations. Commensurate with their important placekeeping role as the riverine capital ships for the early war period, almost 200 pages [nearly half the text] are devoted to this relatively short period. Operations along the Ohio and upper Mississippi rivers, to include reconnaissance and anti-guerrilla missions along with demonstrations against Columbus, KY and support for Grant's Belmont campaign, are recounted in minute detail. With the completion of the first group of heavy ironclads, and the addition of the tinclads to the fleet, the timberclads took on more supporting roles, such as river patrol, reconnaissance, and convoy duties. However, participation in significant direct combat operations did not cease. The latter half of Smith's book details the timberclad contribution to the Henry/Donelson, Island No. 10, Shiloh, White River (1862), Arkansas Post, Helena, Red River, and NE Arkansas (1864) campaigns. The detail is unprecedented, and many obscure actions are presented here as published narratives for the first time. As with his previous book, Smith's research is exhaustive, and supported by expansive explanatory endnotes. The bibliography lists a wide range of primary and secondary source materials, including manuscripts, official documents, newspapers, online sources, dissertations, and published books and articles. At almost 500 pages of main text, packed tightly into a large trim hardcover, the amount of information is staggering. Timberclads is also handsomely illustrated, with numerous photographs, many rare. Unfortunately, some of the same flaws remain present in the form of typographical errors and inadequate maps. Fortunately, the book's many strengths far outweigh any of its weaknesses. With this book, Myron Smith has once again provided readers with a definitive naval history. Encyclopedic in scope and remarkably detailed, the information contained in The Timberclads in the Civil War is a boon for serious students and researchers of the Brown Water Navy. Both as a highly original narrative history and an invaluable reference, this book is a significant contribution to the Civil War naval literature. Booknotes - "Texas Civil War Artifacts"
I love reference books, all the more if they have a Trans-Mississippi focus. Texas Civil War Artifacts: A Photographic Guide to the Physical Culture of Texas Civil War Soldiers by Richard Mather Ahlstrom (U. of North Texas Press, 2008) has chapters devoted to the uniforms, weapons, accouterments, and other equipment produced within the state for the use of its fighting men. There's also a gallery of soldier photos. "A valuable reference guide for Civil War collectors, historians, museum curators, re-enactors, and federal and state agencies", indeed. Homegrown Yankees: Tennessee's Union Cavalry in the Civil War by James Alex Baggett (LSU Press, June 2009). My G-G-G Grandfather, William C. Pickens, was Colonel of the 3rd Tennessee Cavalry, U.S.A. so this one is of particular interest to me. Sister States, Enemy States: The Civil War in Kentucky and Tennessee, gen. eds. Kent Dollar, Larry Whiteaker, and W. Calvin Dickinson (U. of Kentucky Press, May 2009). Commanding Lincoln's Navy: Union Naval Leadership During the Civil War by Stephen Taafe (Naval Inst. Press, May 2009). I haven't read Taafe's earlier book about the Army of the Potomac corps commanders, but I recall liking many of the author's ideas as expressed in his Civil War Talk Radio interview [see sidebar link for access to show archives]. The War in Words: Reading the Dakota Conflict through the Captivity Literature by Kathryn Zabelle Derounian-Stodola (U. of Nebraska Press, May 2009). The Second United States Sharpshooters in the Civil War: A History and Roster by Gerald L. Earley (McFarland, Spring 09). 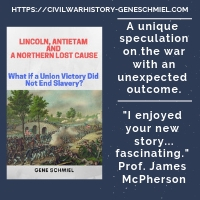 Symonds: "Lincoln and His Admirals"
Craig Symonds's new book Lincoln and His Admirals is not a history of naval operations nor is it a comprehensive look at the U.S. Navy in the Civil War at the strategic level. It's primary focus is the often tangled relationship between President Lincoln, his cabinet (with an obvious spotlight on Secretary of Navy Gideon Welles), and the admirals1 spearheading the navy's war effort. More triangular in nature, in contrast to a more tightly disciplined linear order of command authority, these relationships -- at least early on -- were characterized by cabinet secretaries overstepping their bounds, the president sometimes taking direct charge of naval operations2, and ambitious officers taking their concerns directly to the president or ignoring explicit directives altogether. Symonds's descriptions of the personalities of the naval officers and assessment of their relative strengths and weaknesses are in line with convention. Perhaps the greatest amount of space is devoted to the partnership between Lincoln and Welles (and by extension Asst. Secretary Gustavus V. Fox ). While the navy secretary had an aggressively prickly nature combined with a largely black and white world view, Lincoln was a far more practical politician and deliberate decision maker. According to the author, the pair forged an effective "good cop, bad cop" means of dealing with difficult admirals. Overall, Lincoln came out better in terms of sustained relationships, with even dismissed officers believing they had the president's support all along, leaving Welles the messier fallout. The study has a clear emphasis on the Atlantic seaboard. With only brief forays into the riverine war and Gulf operations, the book might surprise readers with its only passing discussion of the war's most famous naval officer, Admiral Farragut. Symonds's narrative is at its best discussing U.S./British relations and in its treatment of South Atlantic Blockading Squadron commander Samuel F. Du Pont. In description and analysis, both sections are largely confirmatory of the best recent scholarship3. Readers steeped in the modern literature of the Civil War navies will recognize Symonds's study as a work of synthesis rather than a source of significant new revelation, but, as a high command-level overview, it is authoritative and useful. While students and historians anxiously await the emergence of the definitive study of the 16th president as Commander-in-Chief, Lincoln and His Admirals also serves as a gentle reminder that no such work can be considered complete without full consideration of the naval contribution. 1 - Admirals David Dixon Porter, Charles Wilkes, Samuel F. Du Pont, John Dahlgren, Samuel Phillips Lee, Andrew Hull Foote, David Glasgow Farragut. 2 - the best example given in the book is Lincoln's "suggestion" that the Sewell's Point batteries be neutralized and an amphibious landing be made above Norfolk. The president even participated in the scouting of proper landing sites. 3 - Phillip E. Myers on the Lincoln administration's policies toward managing the relationship between the U.S. and Great Britain, and Robert M. Browning for the South Atlantic Blockading Squadron. Booknotes - "The Civil War in Northwestern Virginia"
The Civil War in Northwestern Virginia: The Military, Political, and Economic Events Surrounding the Creation of West Virginia, and the Role of Parkersburg, West Virginia in those Events by David L. McKain (Author, 2004) is a self-published local history book that arrived this week. I've glanced through it, and it is a pretty handsome compilation, well bound and full of historical photographs and drawings. 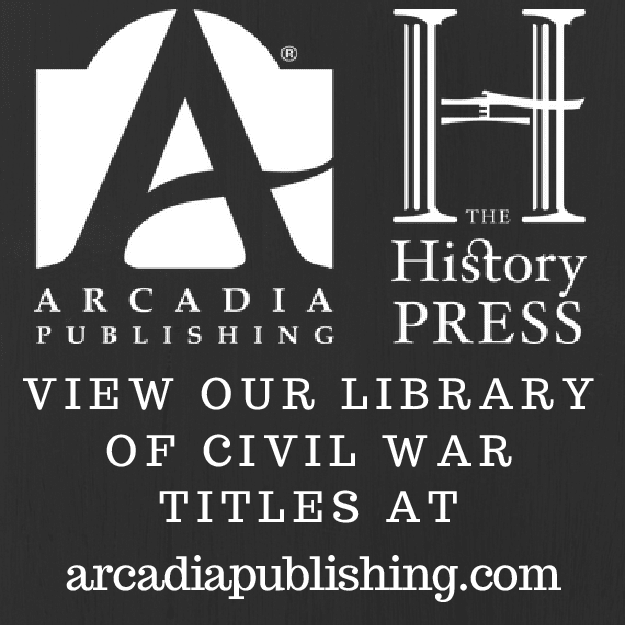 The first part is a political and military overview of Civil War West Virginia, not footnoted unfortunately but it does have a bibliography and index. The latter section (over 200 densely packed pages) is composed of transcribed source materials, including newspaper articles, official documents, letters, diaries/memoir excerpts, etc. This is the first time someone has sent me a review copy with a note that just says "Good Luck". Not sure how I should take that. Cooper: "Jefferson Davis and the Civil War Era"
Confederate President Jefferson Davis has been the subject of a number of biographies, but historian William J. Cooper's decorated Jefferson Davis, American is widely considered the best of them all. Marking the 200th anniversary of Davis's birth, Cooper's latest work Jefferson Davis and the Civil War Era is an essay collection that critically examines the Mississippian's antebellum political career, as well as his performance as Confederate president and commander-in-chief. Based on a series of lectures, Cooper's nine chapters are standalone essays. Short in length and direct in nature, each examines a specific facet of Davis's political life. Contrary to his reputation as an 'anti'-politician, Davis is clearly portrayed in Cooper's writing as a dedicated and ambitious office seeker, and also a man keenly aware of the political needs of others. Considering the extreme wartime pressures the new nation was placed under, Cooper finds little contradiction in Davis's seeming transformation from an ardent States Rights supporter in the antebellum period to a strong nationalist upon assumption of the Confederate presidency. He correctly notes that nearly all of Davis's controversial proposals were ultimately supported by the Confederate legislature. Davis almost always got what he wanted. As much as Davis is criticized in the literature for his policy of employing a broad forward frontier defense, as opposed to a concentration of forces at key points, Cooper maintains that Davis's strategy, flawed as it was in pure military terms, was required by the political realities of the time. Where the president failed most egregiously as commander-in-chief was in his command relationships. He neglected to exert his ultimate authority where needed and did not intervene decisively enough in command disputes. Obviously, the role of commander-in-chief has a political side and a military side. In giving Davis generally high marks for the former and a decidedly mixed grade for the latter, I think Cooper makes a pretty persuasive case overall. 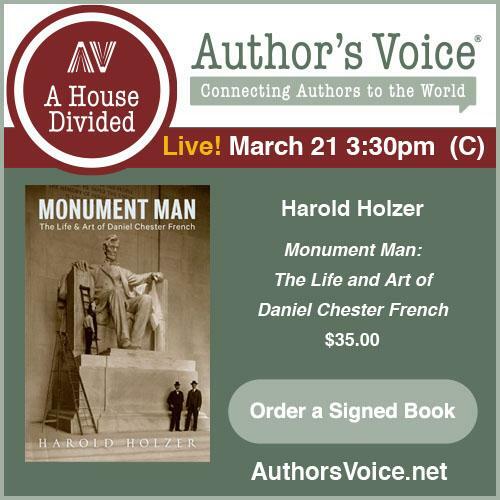 In his final chapter, the author marks Davis's participation in the 1886 commemoration of the soldier monument in Montgomery (a "second inaugural", to use Cooper's term) as a watershed moment in the rise of the "Lost Cause" interpretation of the war. As a persuasively argued and focused primer, Jefferson Davis and the Civil War Era will appeal to a range of readers. New students interested in learning about Davis's presidency and his connection to the important political issues of the day will find Cooper's essay compilation a useful introduction. Likewise, more experienced readers will gain a valuable refresher course from an authoritative source. William Shea has confirmed that his next book, Fields of Blood: The Prairie Grove Campaign, will be released next fall by UNC Press. The publisher's presentation of his Pea Ridge study (co-authored with Earl Hess) was near perfection. Hopefully, Prairie Grove will get the same treatment. Booknotes - "The Fate of Texas"
The Fate of Texas: The Civil War and the Lone Star State (Univ. of Arkansas Press, 2008) is a new essay collection, edited by Charles Grear. The book is notable for an excellent matching of subject to author expertise. As examples, we have Richard Lowe reprising his study of Texas soldier families (readers of his Walker's Division study will recognize the work), Richard McCaslin discusses The Great Hanging at Gainesville (I highly recommend his earlier book Tainted Breeze), and Walter Kamphoefer also looks into German Texans. Other articles cover the role of Texas in Confederate grand strategy, the volunteers's motivations for fighting, the wartime lives of Texas women, and several chapters examine the legacy of defeat among the veterans and civilian population of the state.